From a nation branding perspective, India is a fascinating case, and a real challenge. In this interview, Aparna Sharma, founding member and former CEO of the India Brand Equity Foundation, takes us on a journey to a confident country whose leaders are eager to find, promote and express its national identity. Her thoughts on the Good Country Index. 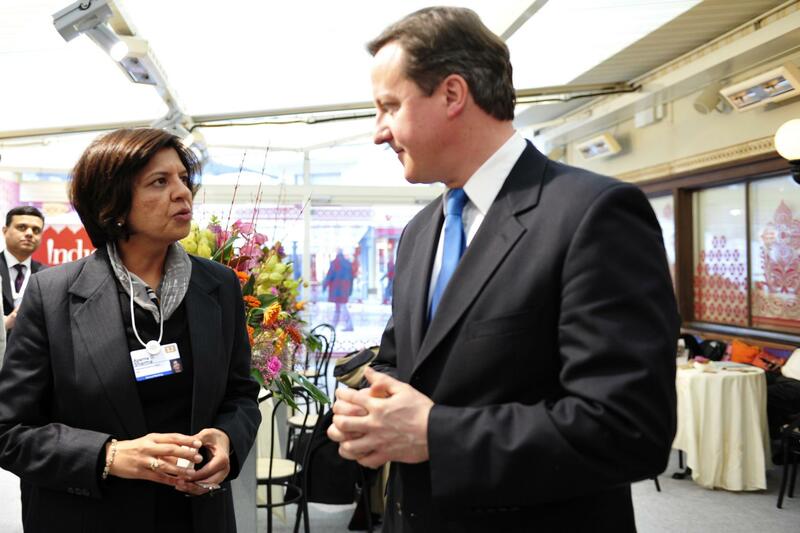 Aparna, when did you first hear about nation branding, and what were your initial thoughts? The years beginning 2000 to about 2005 saw advertising country campaigns burst on the global landscape when China – Factory to the World competed with Uniquely Singapore, Proudly South African, Spain Marks, Amazing Thailand, Dubai – City of Gold to Hong Kong – Asia’s World City, Australia – the Future is Here or Malaysia’s Truly Asia and the list is endless. These were the years when I was initiated into nation branding and a time when I was transitioning professionally from the Economist Intelligence Unit India (EIU India, part of The Economist Group UK) to India Brand Equity Foundation. It led me to delve deeply into the personality of nations and understand that beyond brand-economics, there are clearly several touch points to a country brand, which needed to be studied and understood as these holistically defined the brand power or determined the brand worth of a nation and its future potential. I was truly impressed by the deftness with which nations had attempted to define characteristics or brand strands, which made each a unique brand value proposition. In other words, the campaigns stood out, one different from the other, positioning its defining properties in a highly creative manner, the message appeared focused and targeted to an audience/markets. At another level and quite interestingly, I would hesitate to call these initiatives campaigns because the authors of the same did not expect these creative marketing initiatives to have a sustained life. In other words, whilst I am highly appreciative of the distinctiveness visible amongst country campaigns, I am not very sure if these were being planned at the time keeping a long-term sustainability plan in context. As much as a nation brand campaign needs to respond to the needs of the present, it should combine within itself ingredients and a long-term plan strategy for brand sustainability, which can easily respond to its constantly changing context. Now in 2015, how has this view changed? Today nation brand as a concept is well accepted. Various governments appreciate the intrinsic value proposition that it represents for a country. As a strategy, the concept is receiving attention at the highest levels to ensure integration and alignment with the vision of the leadership from the start, which also brings in coherence and consistency. Nation branding as a strategy straddles both the developed and developing world. It has evolved beyond the needs of tourism promotion and is being leveraged by as much the developed and the developing world to promote their nation brands. These are trends, which are definite pointers to the maturing of nation brand as a concept. Whilst I am impressed with the multiplicity of nation brand campaigns dotting the globe, at another level, the similarities between campaigns is a matter of concern. Clearly, investment and tourism promotion appear to be the guiding goals of the campaigns. Governments today have to balance the aspirations of a growing population with those of the needs of tomorrow to ensure consistent improvements in quality of life, infrastructure and well-being of its people. The challenges are extraordinary and the task is by no means simple. It demands resource augmentation and planning at every level which is why – countries like Great Britain to the United States to India to Malaysia, Azerbaijan, South Africa – all have campaigns designed to attract investment. What is, however, remarkable about the Great Britain campaign is its refreshing approach and focused messaging. It literally reinvents Brand UK. On the other side, the emerging markets need to be able to rise beyond the opportunities scenario. Azerbaijan’s Land of the Future, Malaysia’s Endless Possibilities compete on a common Promenade at the Annual Meeting of the World Economic Forum in Davos. It appears to be a staple diet on offer. Africa’s Inspiring New Ways created impact when it was launched. At one end of the spectrum, nation brand campaigns appear to be more like investment promotion campaigns, whilst the others like South Africa which made a good and impacting South Africa are in urgent need of making the New Ways better known. Good taglines and premium ad companies armed with incredible brochures can take you that far. There is a lot of work, thinking, which needs to be part of the lateral, horizontal promotion of the brand to constantly make it breathe and keep the story alive. Nothing wrong with nation brand campaigns pushing the investment agenda, but taglines can only take you that far. The authors and the custodians of the nation brand should be able to plot, plan and play their nation brand story revealing its brand touch points deftly to make the robustness and the resoluteness of the brand known to all stakeholders both within the country and outside. For the little that I have observed over a decade, nation brand as a concept, whilst having seen visible maturity in some ways, lacks dexterity on the part of nations in a general sense to make their brand worth fully known. There is too much of the same flavour being panned out by the nations and in the process their unique identities, which indeed constitute the prime value proposition, seems to be getting missed. The differentiators should be made far more visible and defined for the audiences being targeted. Nation brands at some stage may like to graduate to sectoral brand campaigns, which could be extremely sharp in its objective and audiences, which it plans to influence. In your view, what is nation branding all about? Nation branding is an essential strategy to project, position and promote a country. The established goals of nation branding vary across the spectrum from attracting high quality investments, to recruiting the best and the brightest, wielding political influence, exporting goods and services and attracting tourism. Nevertheless the goals, nation brand is an essential tool, which can help countries map their achievements, potential, strengths across people, government, institutions, industry, academia along with its weaknesses, to in fact provide a blueprint for a more focused and diligent management of its resources for future growth and sustainability. It can be effectively leveraged by countries to create a robust and coherent brand identity for a country. Every country in this world has brand salience around some touch points – culture, people, tradition, industry, tourism – and nation branding assists in both identifying and using these levers to its advantage for its positioning as well as nation development. Your most memorable moment as founding member and former CEO of the India Brand Equity Foundation? Whilst there are many initiatives and events, which IBEF ran successfully and we received complimentary messages from across the world from embassies, companies, academia, thought leaders for our works, there are singularly two messages, which remain etched in my memory. The first was an email, which I received from an Indian lady professional from Intel in South India congratulating IBEF for our website www.ibef.org for the brilliant content, but most importantly thanking IBEF – in her words – for making me feel proud as an Indian. The second is obviously the reference to nation branding and its relevance, which probably for the first time in the history of India, has been made a part of the Foreign Trade Policy 2015-20 document of the Government of India authored by the Department of Commerce, Ministry of Commerce and Industry, Government of India. For me, these are more than valued moments as these are firm indicators of the difference in perception and brand management which IBEF has been making. I also experience a sense of satisfaction for the contribution made towards the Brand India Pharma campaign, IBEF’s first sectoral brand campaign, which successfully positioned India as the Pharmacy of the World within a relatively short time frame. Which accomplishment as Vice President (2008-09) of the World Association of Investment Promotion Agencies are you most proud of? 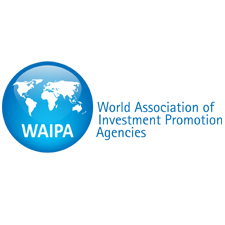 WAIPA with more than 130 investment promotion agencies as members was little known globally. The singular task that we set ourselves was to create global partnerships and a relevant program of investment promotion workshops across various chapters. The credit goes to the entire team – especially the President, Vice President, the WAIPA Executive Committee – for helping develop a vision, give it direction and executing it, which definitely activated WAIPA, made it more purposeful and gave it strong foundations. Do you share the view that collaboration, rather than competition, might be the best way to enhance a country’s nation brand and international regard, as suggested by the Good Country Index? Geopolitics of the day, globally interdependent national destinies, resource scarcities, today by far establish the necessity for international collaboration for sustainable development and growth. Nations, which are alive to the demands of tomorrow and which are able to place pragmatism above politics, which are in a position to pledge their resources for both their own and global development, obviously stand to score better on the nation brand index. To this extent, the Good Country Index serves the cause in helping as much map the indices relevant for both a nation’s self-development and the sustainable world growth. I see it as a part of arriving at and evaluating the worth of a nation brand. Connect with Aparna Sharma on LinkedIn. Enjoyed our interview with Aparna Sharma on nation branding and India? Spread the word!